If financial advisers needed any further proof that change is on the horizon, the report of the Australian Royal Commission into Misconduct in the Banking, Superannuation and Financial Advice sectors has delivered it. The damning report, which may lead to criminal or civil prosecution for some of New Zealand’s biggest banks’ parents, recommended widespread changes. 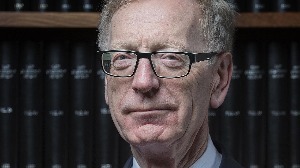 Justice Kenneth Hayne said the damage done to the industry’s health and reputation by poor conduct had been “large”. Significant changes for mortgage brokers are proposed. But financial advisers dealing in investments, super and insurance don’t escape scrutiny, either. The report calls for a new disciplinary system for financial advisers, requiring all advisers to be registered. It wants the current cap on commissions for life risk insurance products to be reduced and set at zero. All banking licence holders should report compliance concerns about advisers to regulators at least quarterly and any grandfathered provisions of conflicted remuneration should be repealed as soon as possible. Life insurers in New Zealand have been told by the Reserve Bank and Financial Markets Authority to conduct a gap analysis of their own operations against the report. Finance Minister Grant Robertson said that a financial sector putting profits ahead of customers was unacceptable, but banks and the wider financial sector were already “on notice” in New Zealand. “The New Zealand Government had already received reports on conduct and culture in our banking and insurance industry from the Financial Markets Authority (FMA) and Reserve Bank of New Zealand. “The reviews have identified a number of issues with bank and insurer conduct, and also gaps in how we regulate them. Some of the issues are similar to those highlighted by the Australian Royal Commission, but not as widespread. Minister of Commerce and Consumer Affairs Kris Faafoi said banks had broadly accepted the findings of the New Zealand conduct and culture review, and he expected the March report back from banks would show significant measures to ensure customers were back at the heart of decision-making. “We have been clear that we expect to see things change and a balancing of the need for profit with banks delivering on the privilege of operating here. As I said last year, the Aussies are hell bent on proving commission is evil, by killing the industry. I sincerely hope the NZ government and regulators watch and listen to the market impacts and not just the regulators rhetoric. Banning commission for advice is blindly ignoring other remuneration models. Does this mean advisers can't be paid salaries and bonuses for giving advice either? Because that's conflicted remuneration too. Not to mention creating an imbalance in the market where fees are charged by advisers and no fees by banks, because they manage the money. What's coming through loud and clear is the banking industry is sick of competition and being questioned so they have managed to get people into powerful places to push the industry back to how we operated in the 80’s. He who holds the gold makes the rules, and this is why we have regulators to ensure markets are not unduly influenced by those with the gold. The Aussie regulators are abdicating their role with giving the banks a free pass with this approach. If we pursue this path we will see the diversity of product options available disappear and it will result in consumers being forced to do the leg work themselves like we had to in the 80’s. It's a sad day and start to the year for financial services. With solutions looking for problems in the scale of a sledge hammer to crack a walnut. I remain concerned that regulators rely upon Insurers apparently not having a primary focus on "good client outcomes" when the regulators seem unable to define what "good Client outcomes" actually looks like. Obviously, inappropriately declining a reasonable claim is not a good outcome for the client but we already have laws to protect clients in this situation as well as external dispute resolution schemes that seem to be busy with general insurance complaints for in excess of life insurance complaints. And even less complaints about the provision of advice from advisers. If they want to get rid of commissions in their entirety following Aussie, why would they not be looking at all commissions of all sorts, Real Estate, excess margins at supermarkets, travel agents, airlines, the list could go on. The reality of Insurance is that most people need the need for products to be sold to them as they don’t wake up excited one morning in anticipation of purchasing some online or at their local Warehouse. The number reported in the RBNZ/FMA report mislead to say the least, if there are $2.57b of premiums and 4m policies that means on average each policy costs $642.50pa and if the so-called huge commissions are 25% of the premiums, that means that we are looking at paying $160.00 pa in commissions. I wonder how much work would get done at the RBNZ and FMA if they were paid $160pa for each job they did. Of course, that doesn’t consider that any GST is not retained by advisers and they then have to pay running costs of their business including regulatory costs yet to be determined. If the average adviser serviced 400 clients and each one had an insurance policy as above, this would mean they have $64,250 revenues incl. However, if we look at separating out advised clients from the non-advised ones, this is likely to increase the average advised clients premium, let’s say to $1000pa, this still only means gross revenues of $100,000 incl. Once we deduct the GST component this is likely to reduce to about $90,000 minus a part-time staff salary and other compliance costs, we are looking at less than the average wage. Good advisers deserve to be able to earn at a good rate after costs at least to that paid to an employed regulator, so $180,000pa should not faze anyone if the advisers are doing their job in protecting what is important to their client’s financial wellbeing as opposed to being laid at the mercy of the public system. As an aside, I watched an interview by Duncan Garner on The AM Show when he stated, “his broker recommended he have Income Protection cover, but when he heard the broker would get paid $24,000 commission he declined”. Not sure how much of this is puffery but if it is the case, it would suggest that Mr Garner is on a salary of about $500,000pa and if that is the case what gives him the right calling this a commission debacle. I have said for some time that the “fees vs commissions” discussion is a bit of red herring. The real focus should be towards transparency- that is when the consumer is able to effectively explain how much “they” are paying. Whether this is by way of fee or commission is largely irrelevant. Where the Australian financial services industry (& the RC) has come to a standoff, is that the average punter (...assuming that they’re alive...) has no idea how much they were paying to the value chain. ...of course, full price transparency requires an ability to explain the “value proposition” (aka why am I getting paid)... but I’ll leave that topic alone for now.